To celebrate National Potato Day we visit Temple Bar’s Boxty House, a restaurant dedicated to the beloved spud, to discover how we can achieve the best mash potatoes at home. A steamy, creamy bowl of buttery mashed potato is always welcome, but especially so when a yellow weather warning has been cast upon us this October weekend. While mashed spuds are the ultimate comfort food for many of us, it can sometimes be hard to perfect them and lumpy mash is not the desired accompaniment to any perfect roast. And so, independent.ie has enlisted the help of head chef Dave Power, who is at the helm of Boxty House in Temple Bar – a restaurant dedicated to Ireland’s most beloved vegetable. Rooster potatoes are the best potatoes for making a great mash. After peeling your potatoes, chop your spuds into an even dice to ensure that they cook at the same pace. Lumpy potatoes are often the result of your potatoes being cooked too fast. Make sure you cook your potatoes in a saucepan of cold water, placing it on a medium heat and simmer until tender. Full-fat milk and good quality butter are very important in the creation of the perfect mash potato. You can use salted butter, but be wary when you are seasoning. 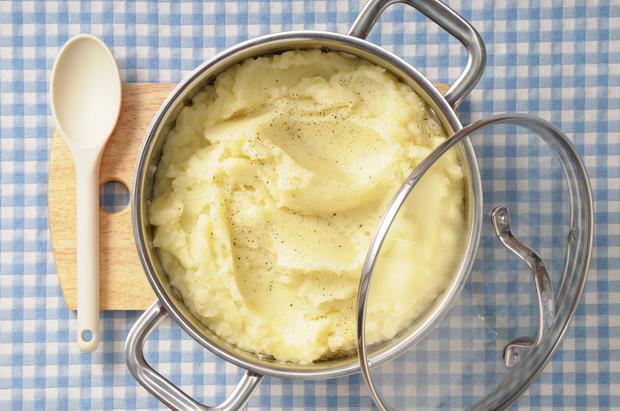 For Boxty’s signature mashed potato, use a hand blender to achieve a really creamy mash. For a bite, stir in some fresh spring onion for a final touch and serve. For more recipes in celebration of National Potato Day visit www.potato.ie. For more information on Boxty House visit www.boxtyhouse.ie.